With all the interest in Belgian ales and in the monasteries that brew them, it’s time to remind the world that here in the U.S. we have a Monk of our own. Jazz legend Thelonious Monk is the inspiration for North Coast Brewing’s Belgian-style Abbey Ale. With an ABV of over 9%, this strong dark ale is rich and robust. The label features the Jazz master himself, a portrait by California artist Eric Grbich. 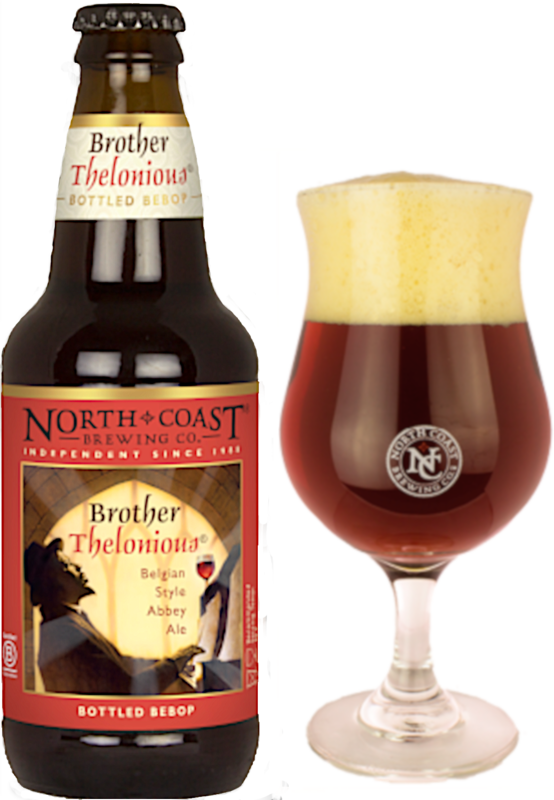 Brother Thelonious is produced under a licensing agreement with the Thelonious Monk Estate. 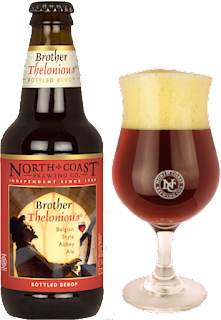 North Coast Brewing is proud to make a donation from the sale of every bottle and keg of Brother Thelonious Belgian Style Abbey Ale to the Jazz education programs of the Monterey Jazz Festival.